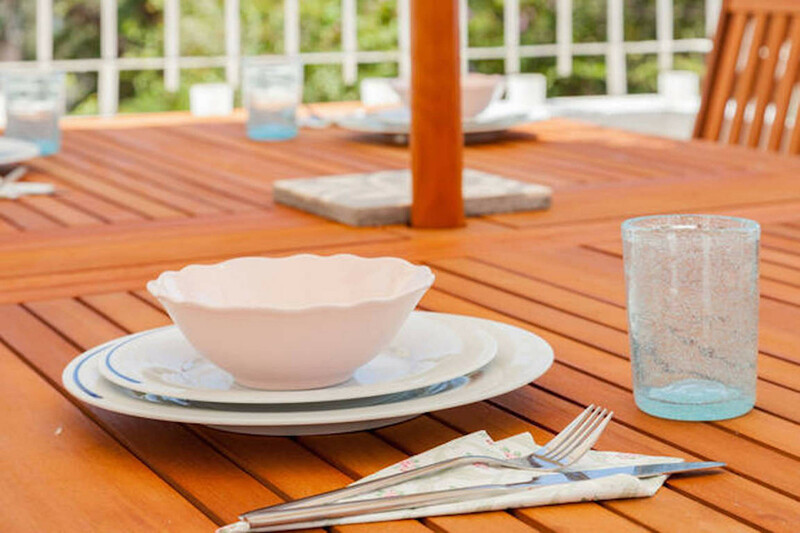 Neve Zedek is a neighbourhood that oozes class, elegance and style. Add to that a bit of relaxation and you've got our beautiful penthouse apartment. The moment you walk through the doors, you feel an instant sense of calm... like walking into a spa. Couples with kids love the layout as it offers privacy and space. 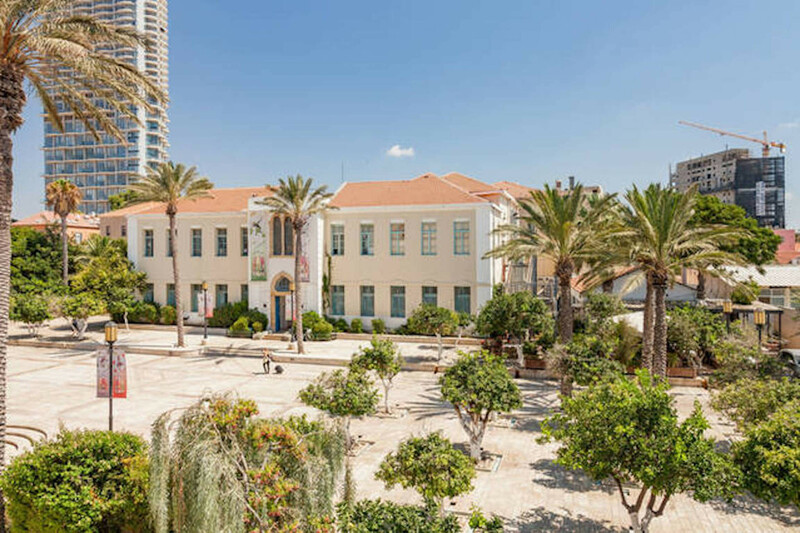 There are no high rises in the neighbourhood, so it's calm from morning to night, with the large terrace overlooking the green and flowery courtyard of the Susan Dellal Center. Decorated by a lovely French couple, many of the decor details are quality pieces from Europe (mainly France). 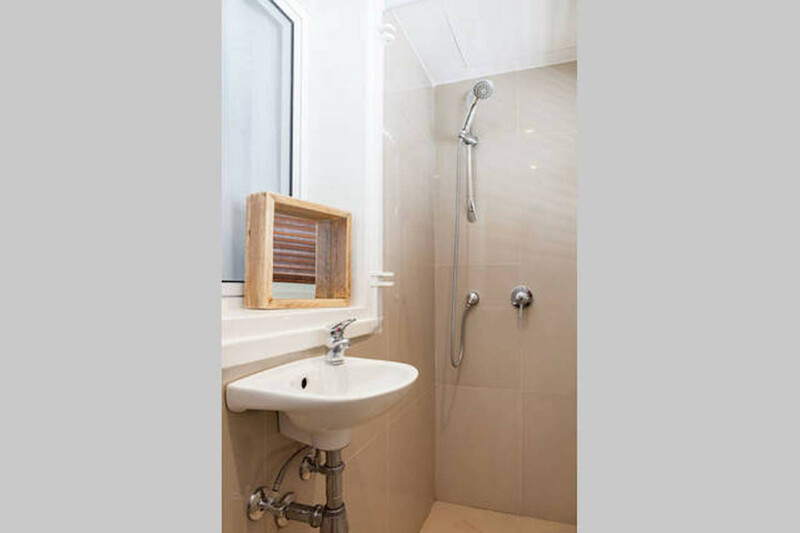 From the dishes to the bathroom baskets, the apartment has a lot of hidden charm. The master bedroom has a queen size bed and en-suite bathroom (shower only). 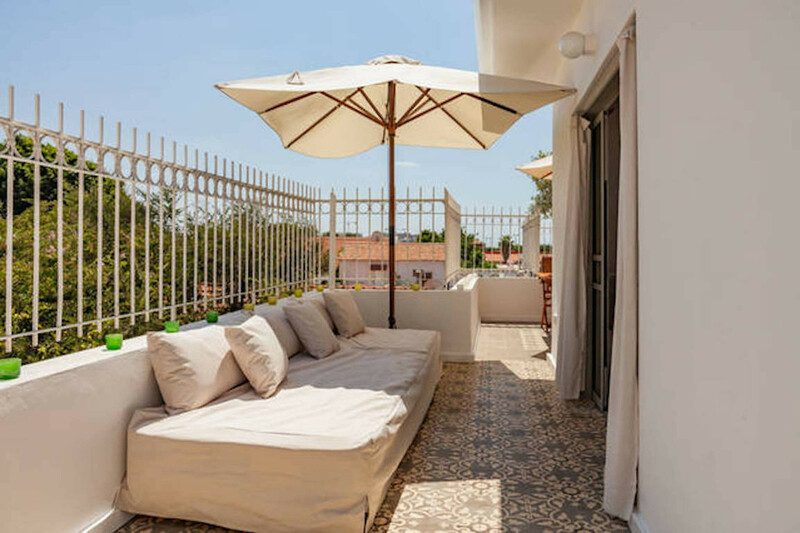 It is a very private bedroom, on the opposite end of the apartment, with direct access to the terrace. 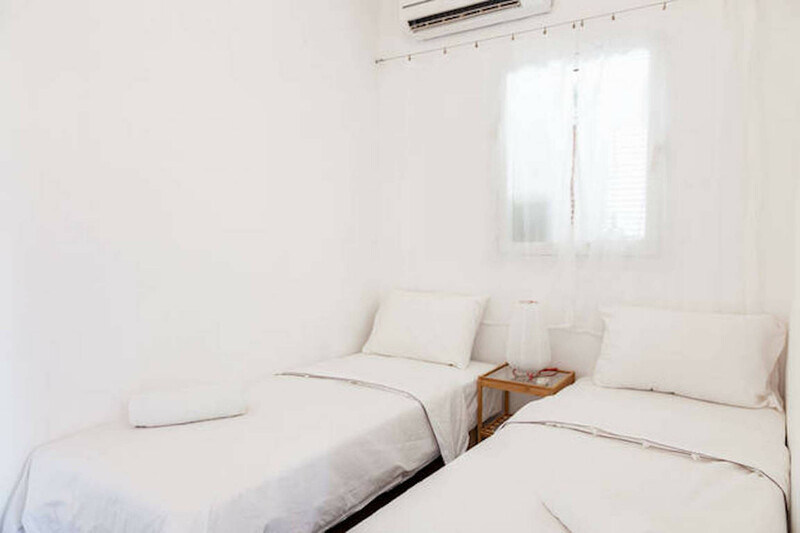 The second bedroom has 2 single beds that can be placed together to form a double bed. 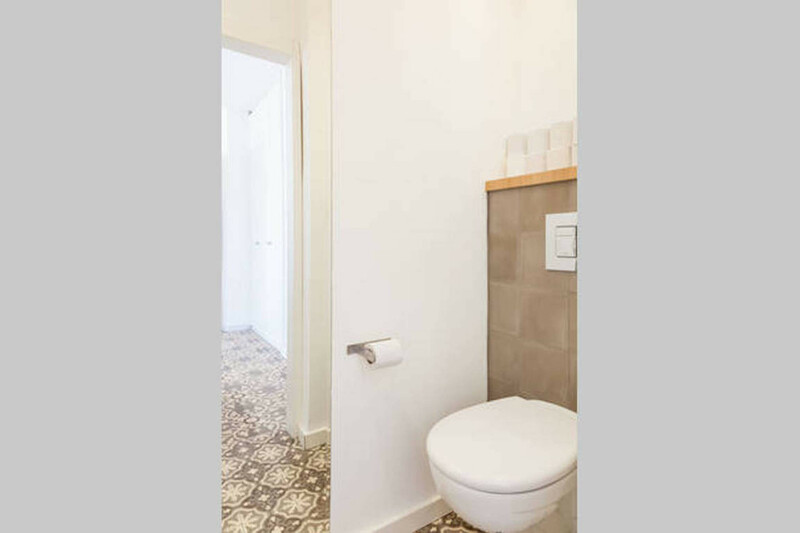 A private bathroom/powder room (toilet and sink) is central and shared by the guests in the apartment. 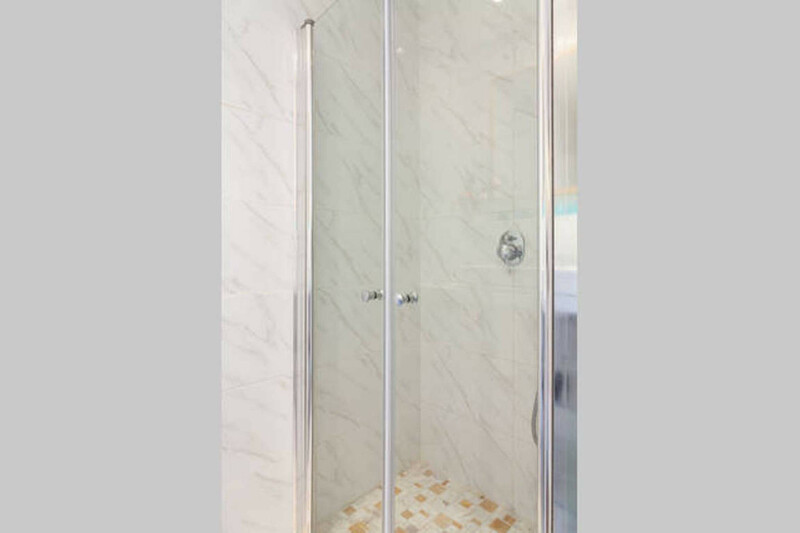 There is a second shower next to the kitchen for guests staying in the second bedroom to enjoy. And of course, there is the magnificent terrace, almost as large as the apartment itself. The views are relaxing and you can hear the sounds of the birds in the morning, with the delicious smell of the bakery's fresh bread. There is an A/C unit in each room in the apartment. 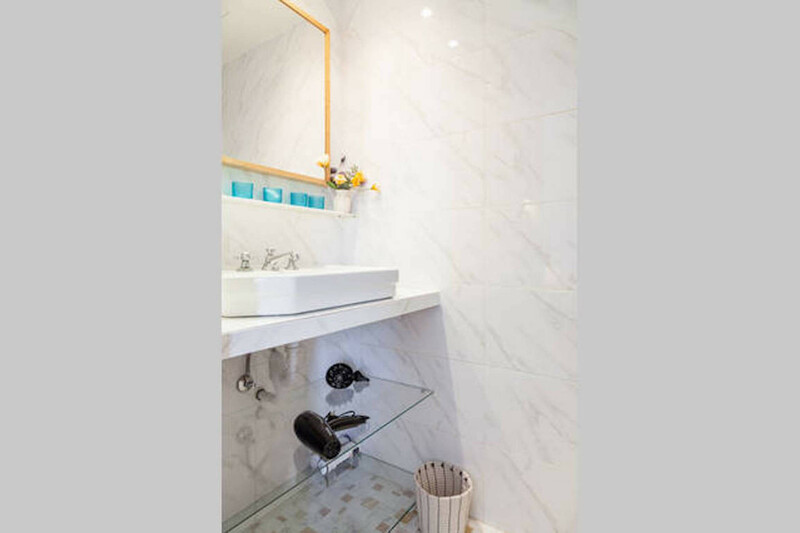 The building has an elevator and there is private underground parking included in the rental of the apartment. 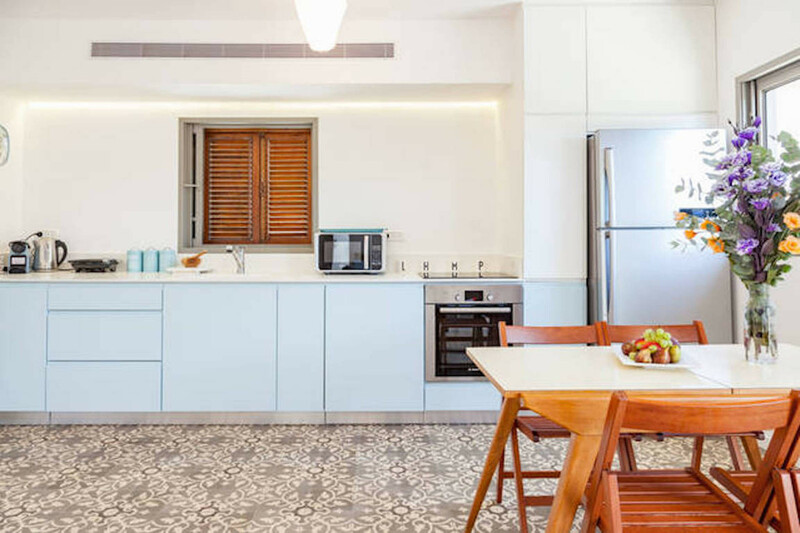 The apartment is located in the historical and unique neighbourhood of Neve Tzedek. Neve Tzedek is well know for being the first Jewish neighbourhood built outside of the wall of the ancient port of Jaffa. This neighbourhood is famous for its unique and authentic architecture. It has wonderful restaurants and shops. It takes only 5 minutes to get to the beach and 10 minutes to walk to the the center of Tel-Aviv. The main street of this neighbourhood is called Shabazi, where the apartment is located! There are boutiques, shops, cafes & restaurants all around. The Carmel Market is located 7 minutes walk away. The main international airport, Ben Gurion, is 20 minutes drive. All of Tel-Aviv's beaches are sandy with quiet sea. The closest beach is located 8 minutes walk from the house. There is also the 'Tachana', which is the old train station (from the 20's 30's) renovated recently to shops, boutiques & restaurants. It is 6 minutes walk from the house. 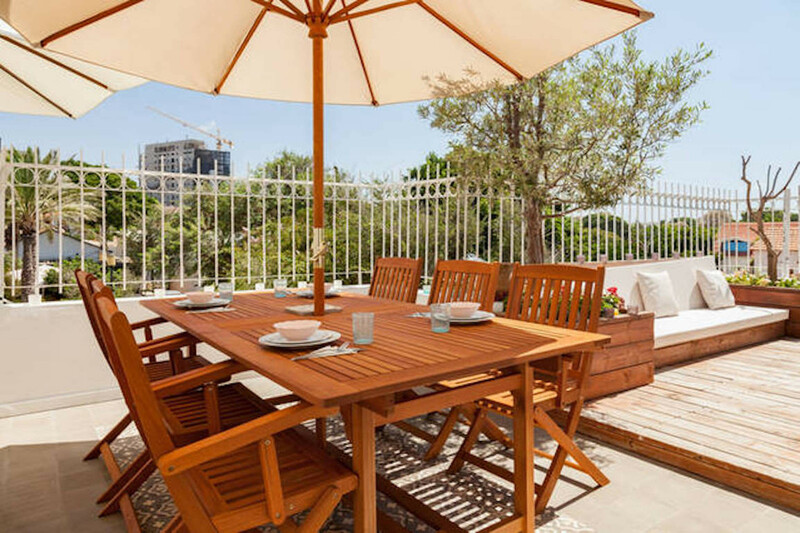 The penthouse is located in famous Neve Tzedek area, abode of justice, the place that holds a piece in history of Tel Aviv and is now the most trendy place to be, from fine restaurants to chic stores, via romantic streets to the culture center. 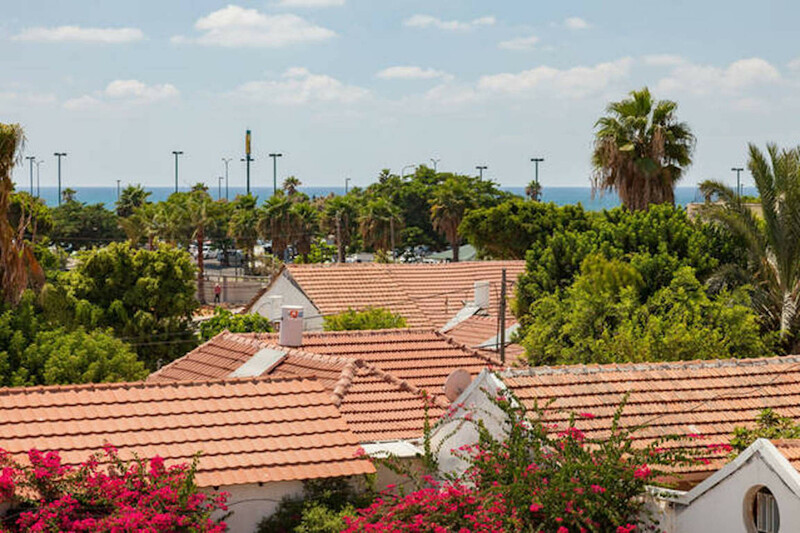 This unique area is just few minutes walk from the beach and from the famous Tachana courtyard - little Tel Aviv. 1 Queen size bed, 2 Single beds, 2 Sofa beds. 2 Bathrooms with shower, 1 Toilet, Hair dryer. 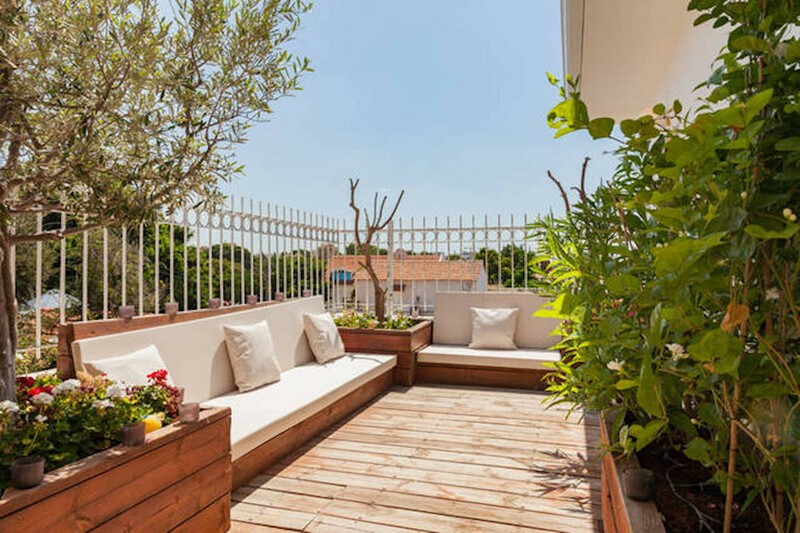 TV, TV Satellite (Languages: French), 3rd floor, lift, garden furniture, terrace, iron, internet (Wi-Fi), hair dryer, balcony, 75 m² property, central heating, air-conditioned, Covered parking in the same building.